The Newest Rant: Online Comic Auctions Are Fun! 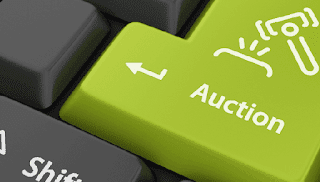 We all know about auctions that happen in everyday life. Whether its a car show, antique event, estate sale, or something of that nature people will gather and bid on items. In this era of the internet sometimes online auctions will occur, but up until a few months ago I hadn't ever tried an online comic-book related auction. Having seen some of one a few months ago and taking place in it from the start today I would say they are a good time! Starbase 1552 Comics is a physical shop found in Franklin Tennessee that has the fun features of your usual comic shop. They also will sometimes do live Facebook auctions and they are really fun. A list will be posted of what's going to go-up for auction and then at the proper day and time the event will stream and people can bid via the comments section. I was able to snag the first four issues of the original, "Moon Knight," series as well as a copy of, "Jessica Jones #1," signed by David Mack for very fair prices. Starbase 1552 Comics has an official Facebook page specifically for their auction events that you can find here and I would encourage you to check them out and, "Attend," the next auction. If you're a lover of comics (and comic-related toy merchandise) it is cool just to see all the items and even more exciting to bid on things you want! It is my hope this kind of thing catches on even more and other shops do it too, because it is quite entertaining! Thanks for the shout out and great blog post!